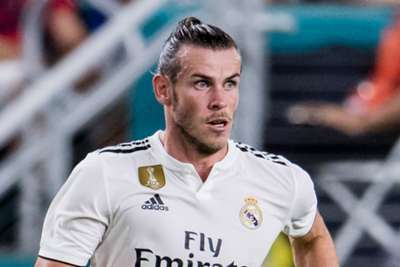 Julen Lopetegui is confident Gareth Bale will return for Real Madrid in Saturday's LaLiga clash against Levante. The Wales forward did not represent his country over the international window having gone off late in Madrid's 1-0 loss to Deportivo Alaves with a groin injury. However, Bale returned to full training with Los Blancos this week and with Marcelo (calf) and Isco (appendicitis) also set to come into the equation, Lopetegui could have more options in his squad to try to reverse Madrid's poor run of form that has seen them go four straight games without a goal. "Some players have had the chance to take the time out and get back from injuries. In the short time we've seen the players we think we have more players back than we had before," he told a news conference. "We have to see what happens in training about [the game]. We're optimistic, we'll have to wait to see to make decisions. [With] Bale we'll wait and see what happens in training, we're optimistic. "Gareth's been very responsible about his injury, he hasn't played with the international team when he could have tried to, it's good to see he has that responsibility and we have a good chance to get him fit." Isco has not played since a 1-0 win over Espanyol in September and Lopetegui is excited to have the Spain star available. "He's a very important player, no doubt about that, like many of them, he's had appendicitis, it's difficult to control," added Lopetegui, who confirmed full-back Dani Carvajal is the only player definitely missing on Saturday. "He's obviously someone that will come in to play and help us out in the near future. "We always want to have as many players as possible available. Of course, we're happy to have Isco available to select for Saturday if necessary."